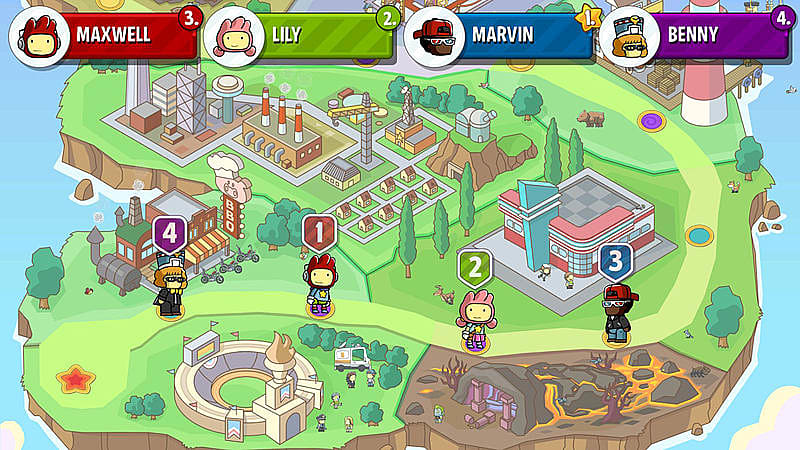 Scribblenauts Showdown is a new video game based on the inventive franchise, featuring two party game modes, Showdown and Versus, designed for one to four players. 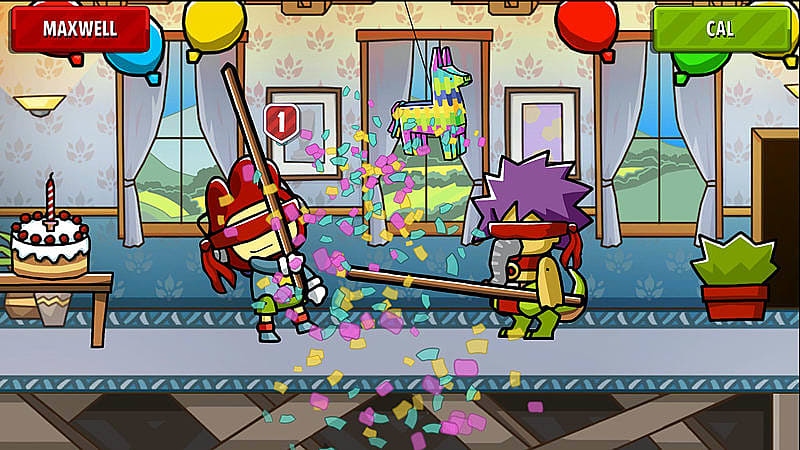 Players can also join forces in the popular Scribblenauts Sandbox to complete achievements and watch their objects come to life in unpredictable ways. Competitors can conjure objects from the vast dictionary of over 35,000 words to outsmart their opponents or simply let their imaginations run wild. Players can even customise their own unique Scribblenaut, drawn in the classic Scribblenauts art style, to use throughout the game. • Showdown Mode – Up to four competitors can join the fun with the brand-new party mode where players must imagine their way to victory through card-based strategy and creative skill. “Wordy” mini-games require unleashing the best object or character from the game’s vast dictionary, while action-oriented “Speedy” mini-games reward the player who completes a given challenge first. Player progress is displayed on a board game style map, with multiple ways to get to the finish line first! • Versus Mode – Two players can go head-to-head in more than 25 mini-games that vary in every session. Versus Mode allows continuous play of games by shuffling players into game after game for non-stop fun. This mode can also be played solo. • Sandbox Mode – Explore new objectives in the series’ popular creative playground featuring eight challenging levels. One or two players can put their imagination to the test to solve objectives and earn hidden Starites and Achievements. Sandbox is also the perfect destination for 1 or 2 players to test their creativity and unleash whatever objects they can imagine and watching them interact in unpredictable ways. • Everyone’s a Scribblenaut – Players can either choose, or design, their own original Scribblenaut to represent them throughout the game, which can be further customised with unique clothing and quirky accessories by earning Starites and completing achievements.